Blood for the Blood God Conclusion! With the Blood for the Blood God! contest wrapped up, I had the enviable task of writing a wrap-up blog for the event. I also chose to prove I was better than Mat Ward by not making puns with the word blood. Or using the word blood as a prefix to other words. Or a suffix. Thanks to everyone who entered. Before announcing our winner, I wanted to share the facts of our modest contest. 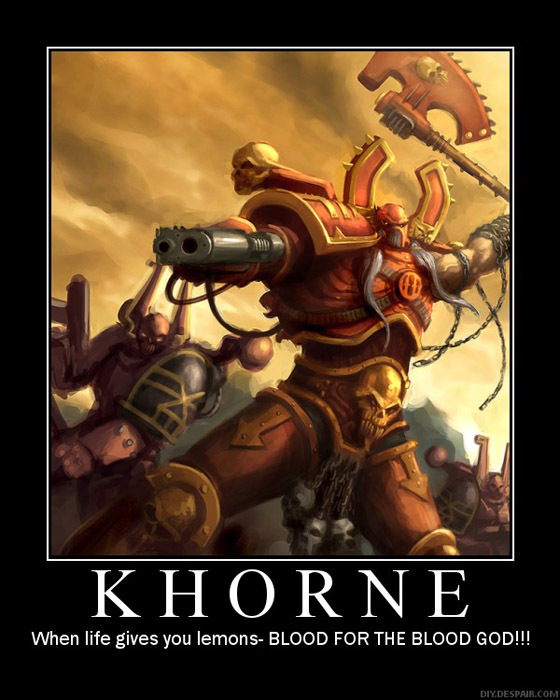 Also, proving that Khorne favours those who spill blood in his name, the winner was not one of the people who sullied Khorne’s name with offerings of money but only that of blood! 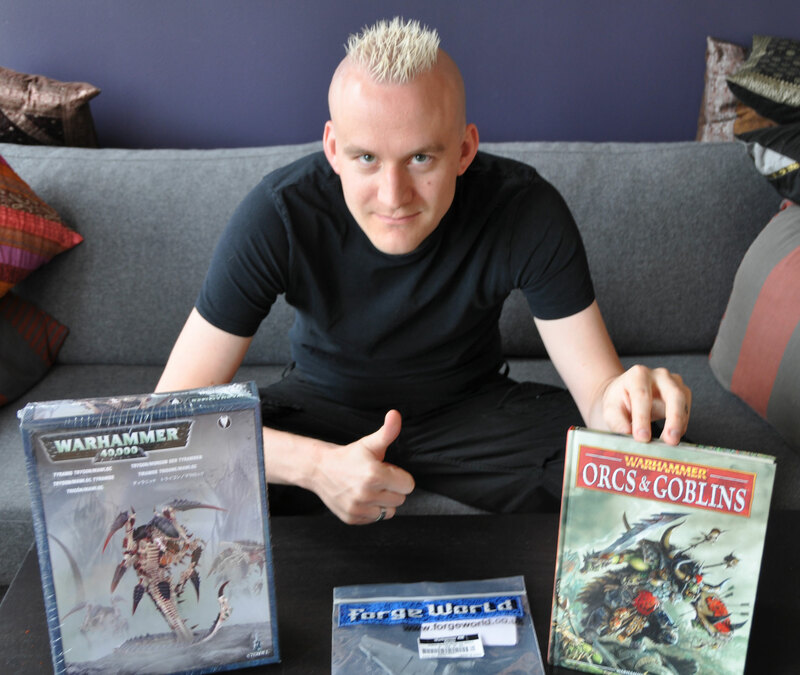 Behold, Khorne’s chosen and Sweden’s own, Carl Cedergren hoisting the spoils of victory! I also have to apologize for the tardiness of this announcement. We tried to get Carl on the Podcast but an 8 hour time zone difference (not to mention the city difference between hosts), we just couldn’t make it happen. So instead, I had to wait for the postal service to get items to Sweden (don’t get me started on Countrystan Post…) for the awesome picture. Finally, I want to close out on a thank you. Thanks to everyone who participated. Thanks to everyone who helped spread the word. And if you missed out, keep posted as we will likely run another Blood for the Blood God! contest again someday. Maybe in time for the holidays as Blood Banks are always low that time of year. Great to hear things went well!